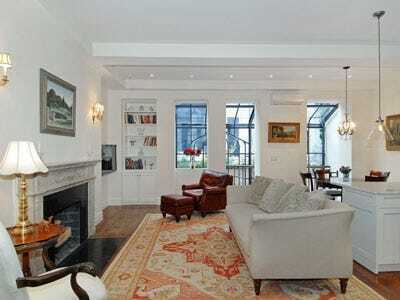 Today we present you this classy sun-drenched Murray Hill townhouse J.P. Morgan built for his granddaughter, complete with private gardens.The newly-renovated duplex is host to a Victorian style atrium and solarium and home to numerous winding staircases. The ceilings are over 10 ft., marble reigns supreme in the kitchen and bathrooms, and there are five huge bedrooms to chose from. The sellers wants just $1.6 million, which seems like a pretty good deal. If you can’t make the open house at noon on Sunday. 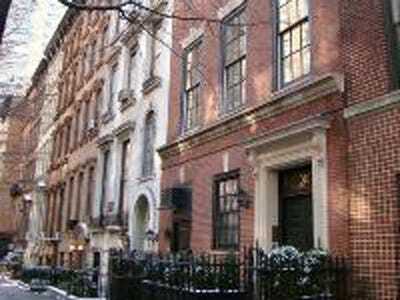 The townhouse is located at East 37th between Lexington Avenue and Park Avenue. 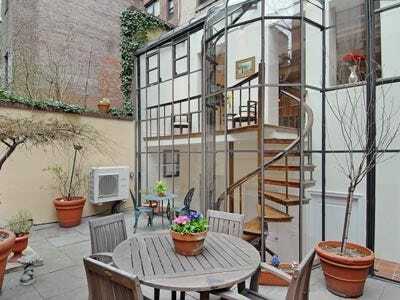 The duplex includes a Victorian style atrium and a private garden. 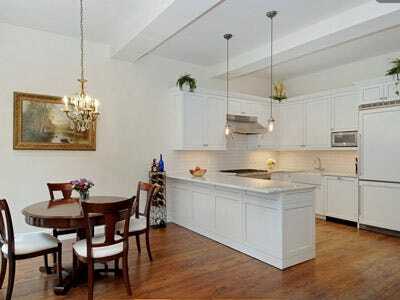 The kitchen is equipped with top-of-the-line stainless steel appliances. 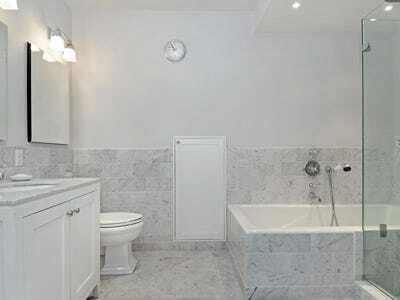 A monochromatic white and grey marble bathroom with a heated floor, soaking tub and, stall shower. 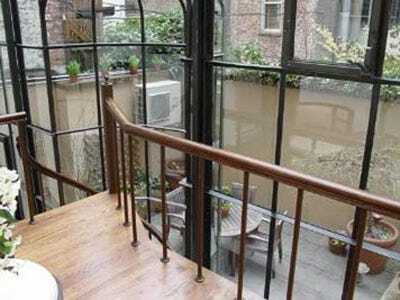 The central staircase complements the solarium overlooking the private garden. 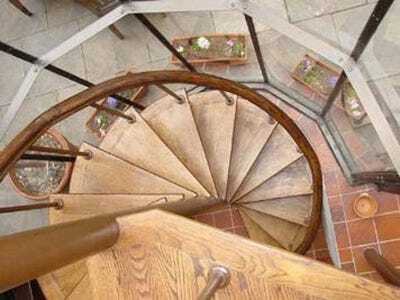 A spacious courtyard with a winding staircase to match the one inside. Floor to ceiling windows are an architectural highlight of the house.